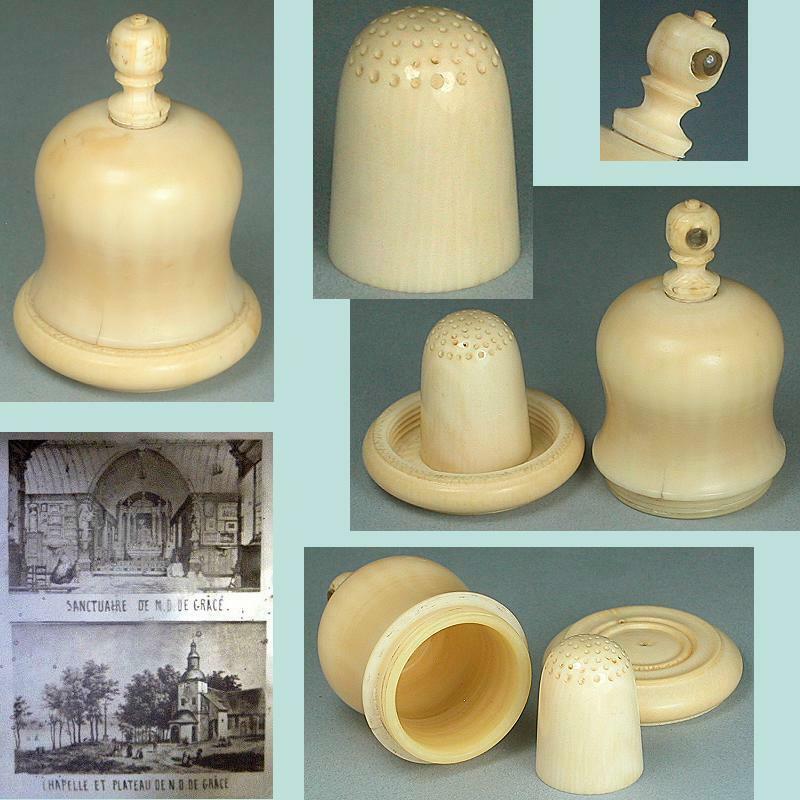 These little antique silk winders are carved of real ivory in smoothly scooped rectangular patterns. 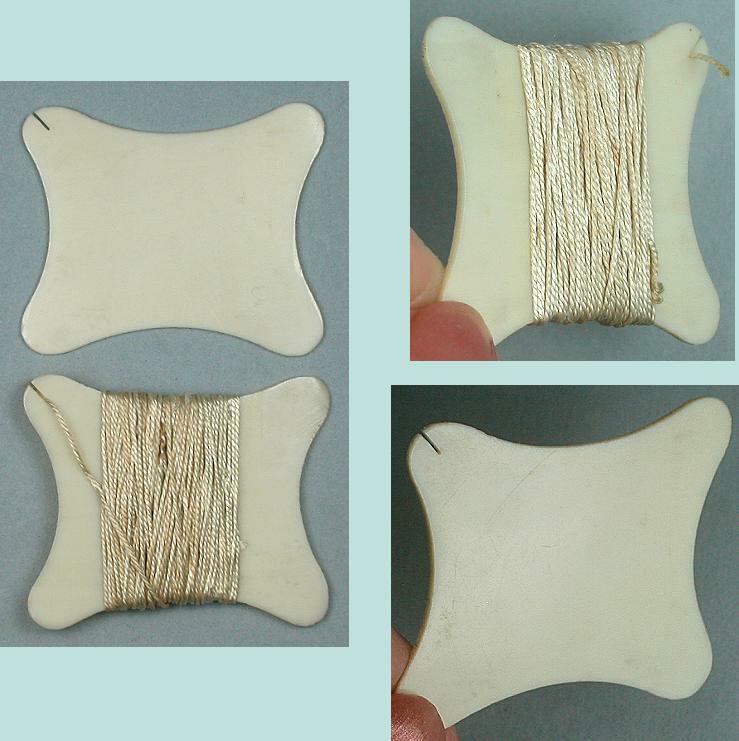 They measure 1 1/2" x 1 1/4" and one is still wrapped with silk thread. Both are in excellent condition with no chips or cracks. They have glossy old patinas and beautiful ivory grain patterns.